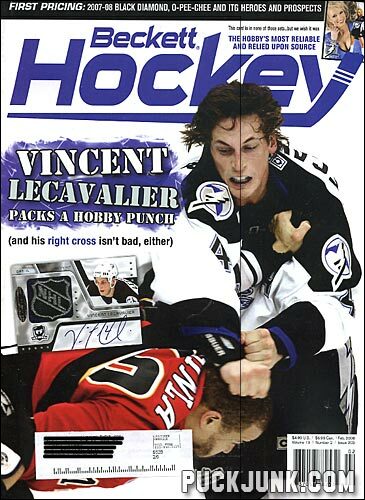 I received my issue of Beckett Hockey for February 2008, and was pleasantly surprised to see a picture of Vincent Lecavalier fighting Jarome Iginla on the cover! 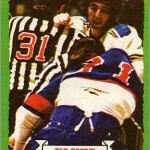 You don’t often see fighting on hockey cards (except maybe this one), and for a few years in the 1990s you didn’t even have fighting in hockey video games. 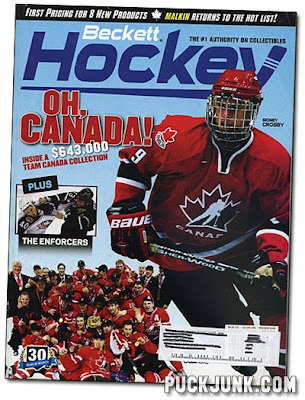 So, it shocks me–but in a good way–to see fighting on a cover of a hockey magazine. Even more so since Lecavalier and Iginla are known for scoring goals, not throwing punches. 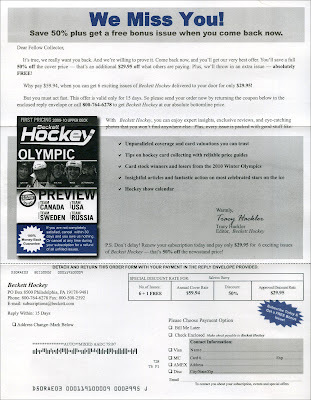 Granted, this isn’t an NHL-made or NHL-endorsed product. 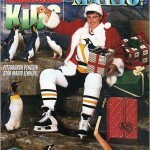 You could very easily see a photo like this on the cover of The Hockey News. But on a collectibles magazine, I still find it surprising. But in a good way. Fighting is a part of hockey. 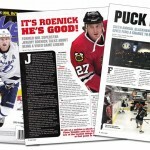 I like it when publications et. all own up to that fact. Here is a video of the Lecavalier-Iginla fight, from the 2004 Stanley Cup Finals.